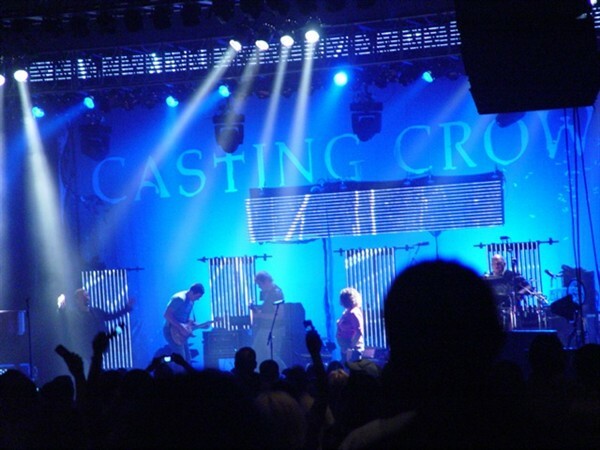 I went to a Casting Crowns concert on Thursday night with my lovely wife as our Valentine’s day gift to each other. While we were driving, I asked her, “How much like a contemporary church service do you think this will be?” By the time it was over, we had experienced so many of those elements common in church services: Opening songs, reflections on Scripture texts, times of prayer, opportunity to respond with offerings (by sponsoring a World Vision child), etc. I loved the concert, but it did leave me wondering things like, “What is the practical difference between this and some contemporary worship services?” Jamie Smith, author of Desiring the Kingdom, offers this reflection on the difference between concerts and corporate Christian worship. It’s worth reading if you’re interested in understanding how the form of our worship impacts our understanding of worship. Fors Clavigera: An Open Letter to Praise Bands. In the span of just two days, I went from sitting in Mass in a small country parish to being on a satellite campus of one of the largest Christian gatherings in the world.